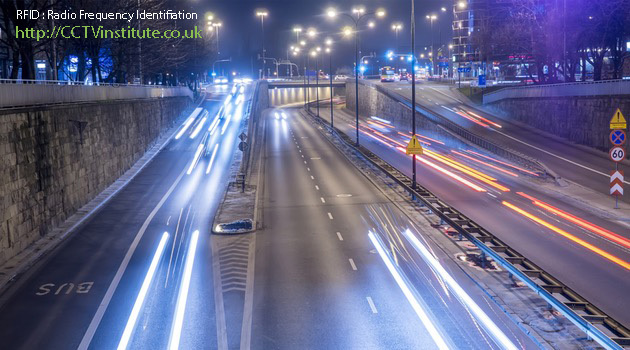 RFID is an acronym for Radio Frequency Identification or simply RFID Radio Frequency Identification and widely used in access controls and asset protection & security projects, to identify people and objects using the radio waves. These identification systems are the part of AIDC (Automatic identification and data capture). It uses an electromagnetic field to track and identify the targets with the electronically stored information in form of the tags or else. Charles Walton of United States, invented RFID & received the first ever patent for the such device. The basic building blocks of the Radio Frequency ID systems are Tags (Labels) called as RFID Tags / labels & RFID Reader. The radio frequency ID tags / labels are made of microchip & an antenna, antenna is combination of the transmitter and receiver, and each tag is with specific serial number. The Radio Frequency ID systems tags are three types, Passive RFID Tags, Battery Assisted Passive RFID tags & Active RFID tags, and are used on the basis of application in compliance with the requirement of the site. The passive RFID tags are dependent on the external energy activation sources, these tags use the radio waves received from the Interrogator (Reader) for drawing the power and then transmit back the required information for identification purpose to the Interrogator (Reader). The active RFID tags / labels are provided with the built-in batteries for power & are independent of external energy sources and transmit the ID signals periodically irrespective of the reader location. The Battery Assisted Passive RFID tags transmit the ID signal once they detect the signal from RFID reader. The tags can be read only type where the serial number is pre-fixed at the factor or can be Read/Write type where serial number can be programmed at site as per need. In the design point of view, RFID tag consists of electronic section for storing information. Modulation & Demodulation, Collecting DC power and an antenna for transmitting & receiving the signal, the information is store in non Volatile memory. The Radio Frequency ID systems readers are major part of the RFID system as it is reads that read the tags and send the received unit to control center. The RFID readers are of three types PRAT (Passive Reader Active Tag), ARPT (Active Reader Passive Tag) & ARAT (Active Reader Active Tag). The PRAT works only with active tags as such readers receive the data from Active tags and the reception range does not exceed 600 Meters. ARPT is in general used with Passive Tags as ARPT sends the radio waves that activate the tag for re transmission of signals towards reader. ARAT uses active tags and the variation in signal helps in using battery activated passive tag. Radio Frequency ID tags, generally used in level identification in retail environments use CLASS-1 Generation 2 or generally called as Gen 2. Class 1 refers to functionality of tag while as Gen 2 is about logical & physical standard and about system related to same. The standards are maintained by EPC global, Gen2 standards are global, inter-operable, faster & flexible in speed, advanced anti-collision protocol, enhanced security etc. Class 4 R/W active tags with built-in transmitters and communicate with other tags & readers. Class 5 Can Power to other tags and communicate with other tags & readers. The Radio Frequency ID systems are generally used in access management; tracking of the goods, people & animals, Car parking entry & exit gates, traffic monitoring & toll collections, Machine readable documents etc.